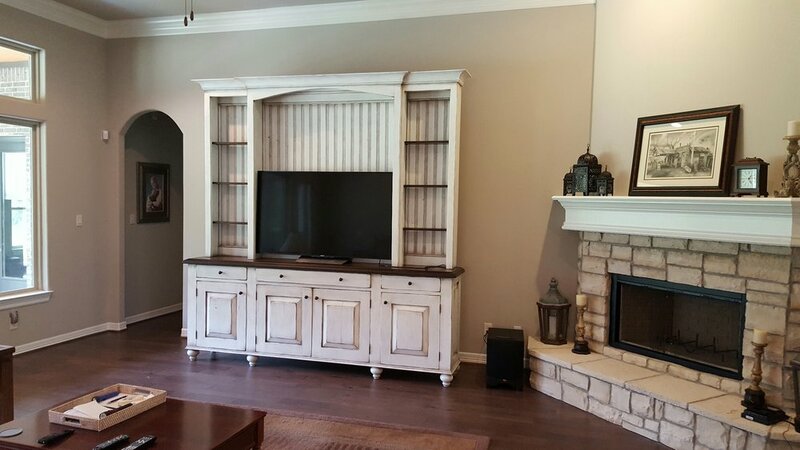 Every cabinet we make is distinctive to your needs and is made on-site in our workshop in Old Town Spring, Texas. 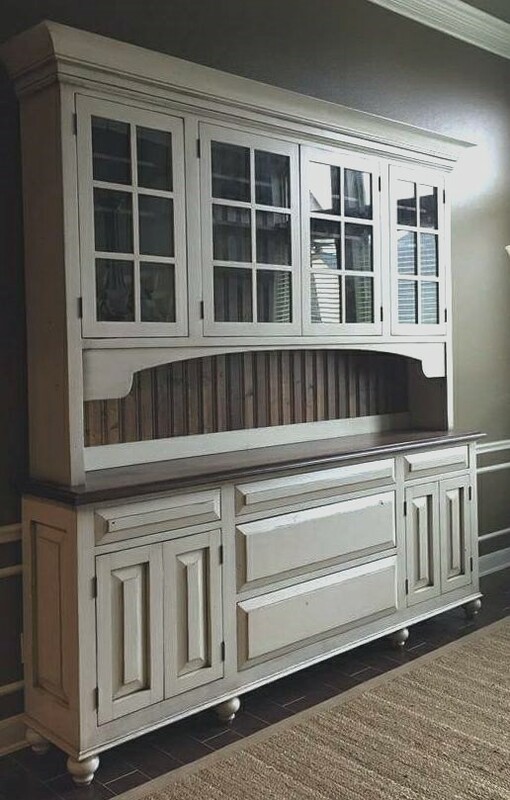 Each of our buffets and hutches are built with both your style and customized storage needs in mind. 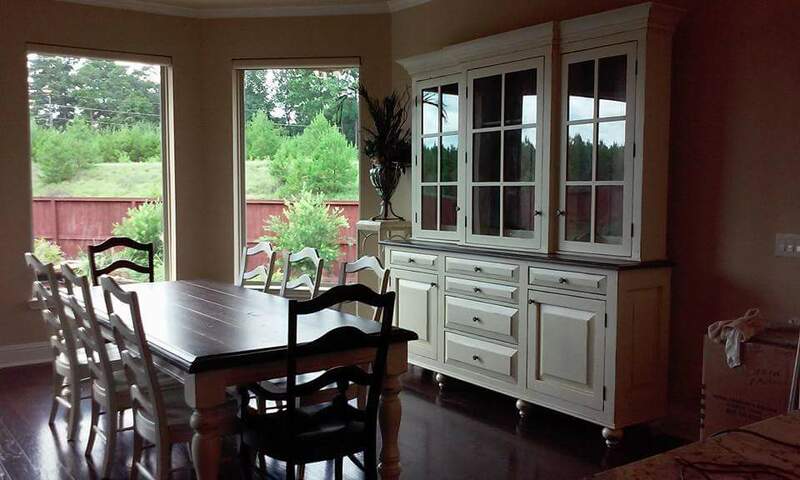 Whether you need an elegant place to store wine glasses or your heirloom China, our dining room buffets and hutches are both solid and distinctive for any style. 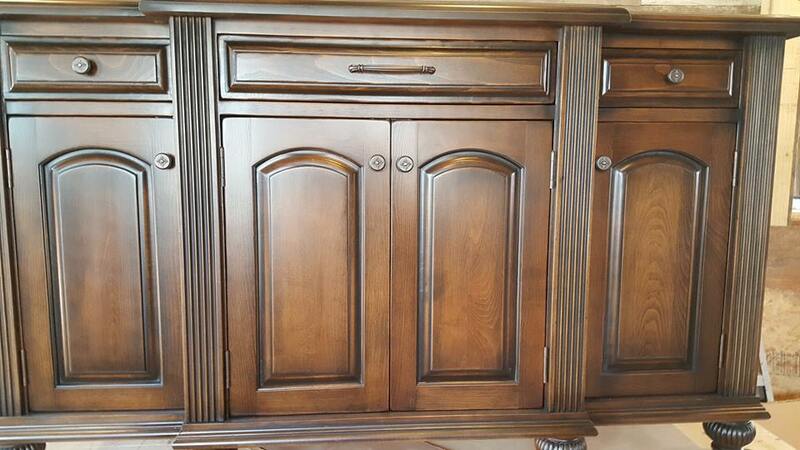 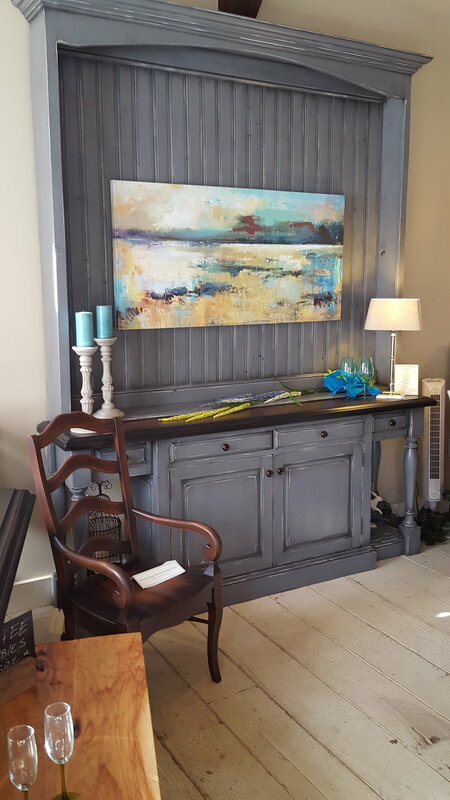 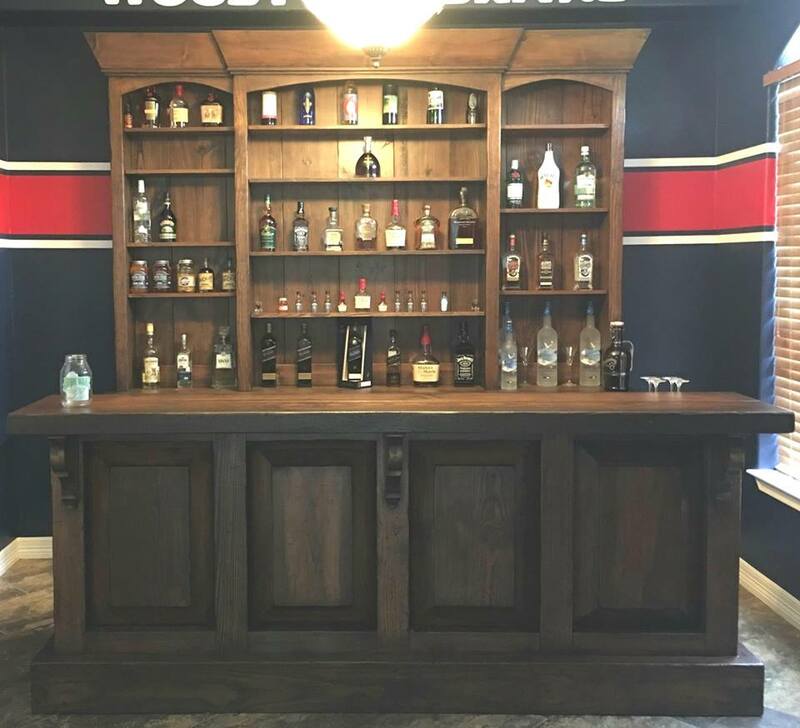 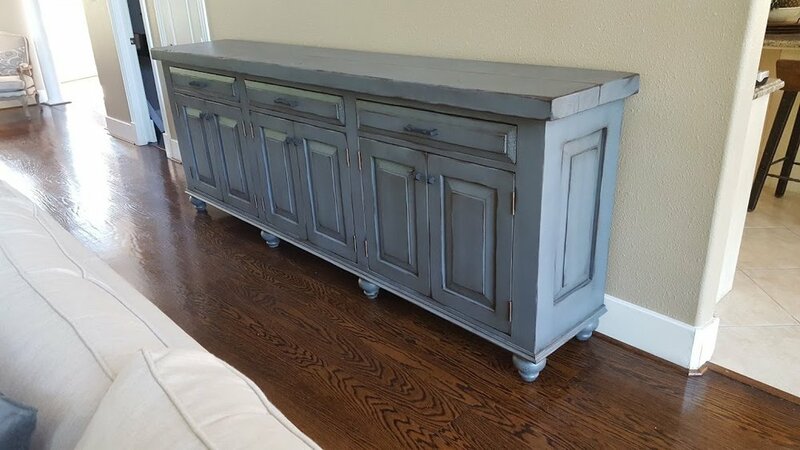 In addition to our dining room furniture, we also build custom media cabinets, office desks, bookcases, console tables, kitchen islands and fireplace mantels to fit any size, space, and taste. 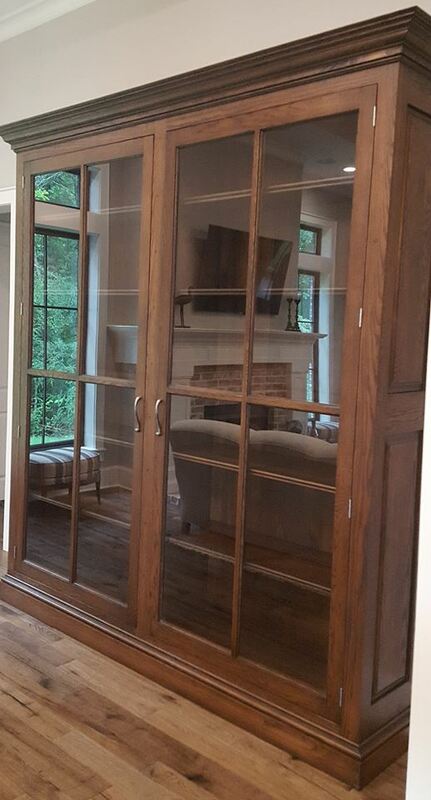 For questions about additional furniture needs or pricing, please feel free to contact us.